I set up my camera waiting for Old Faithful to put on the last afternoon show before the sunset. 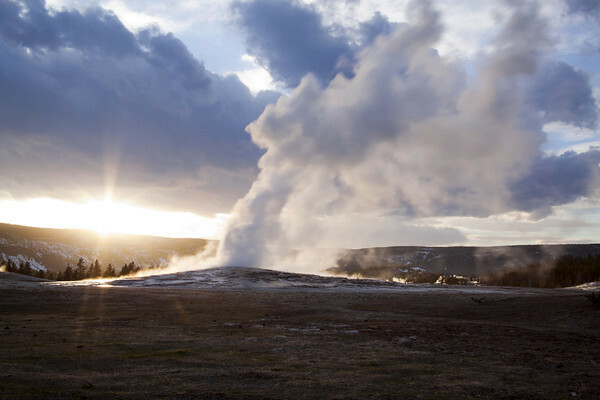 As Old Faithful started to errupt, the light found a gap to side light the geyser. I stood in awe as the geyser grew in intensity and height.